Each year Johnson Rooney Welch demands a clever holiday card and I deliver! 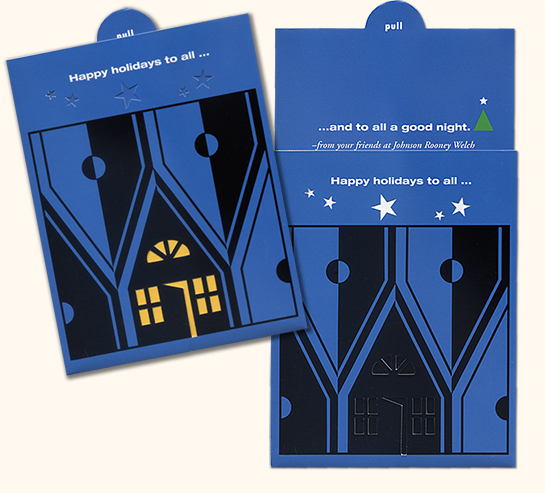 Using the client’s logo as the basis for the graphic, I designed this pull out holiday card to make the lights go out. 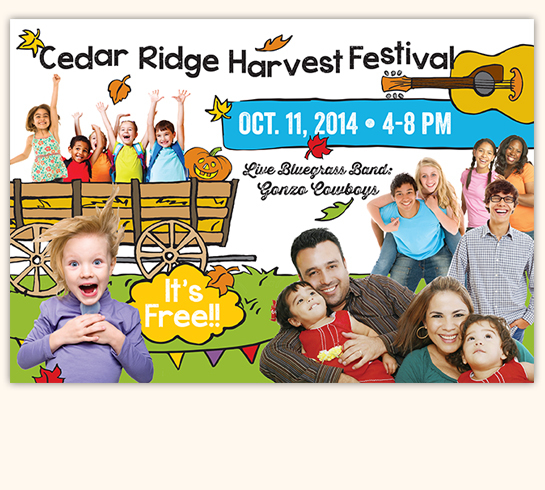 Who doesn’t want to go to a Harvest Festival when it looks like this much fun? Cedar Ridge invites the community each fall to come enjoy their sixty-three acres of beautiful land — full of flowers, wildlife and an organic farm. From apple cider to hay rides, music and all kinds of family fun, the community is coming together to celebrate and partake in the festivities. 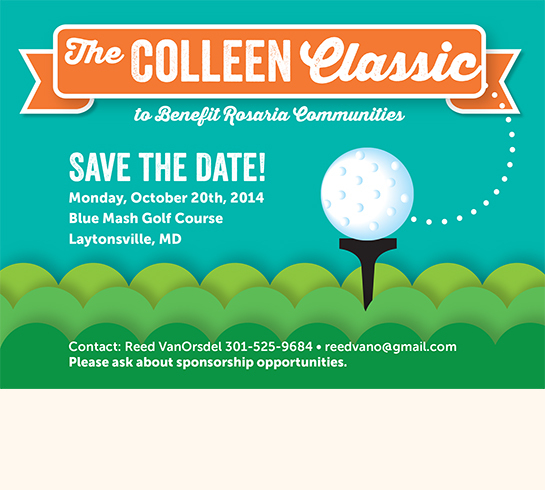 Sibley contacted me when they needed a standout invitation for their largest fundraising event of the year. The theme, Growth, is illustrated by the “animated” leaves of the tree. 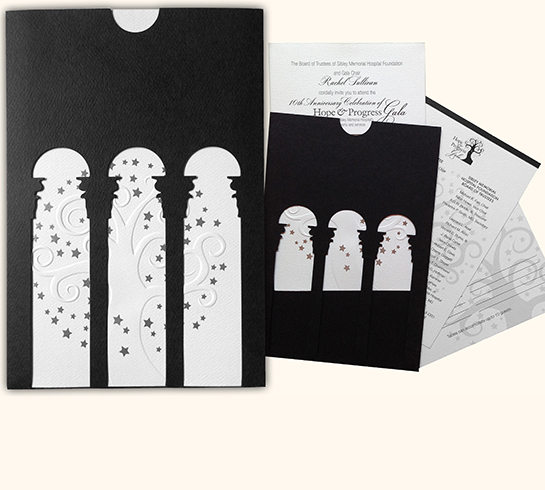 Printed on beautiful paper with gold foil embellishments, the invitation inspired guests to attend and give generously — evidenced by the client not just reaching, but exceeding, their donation goals. 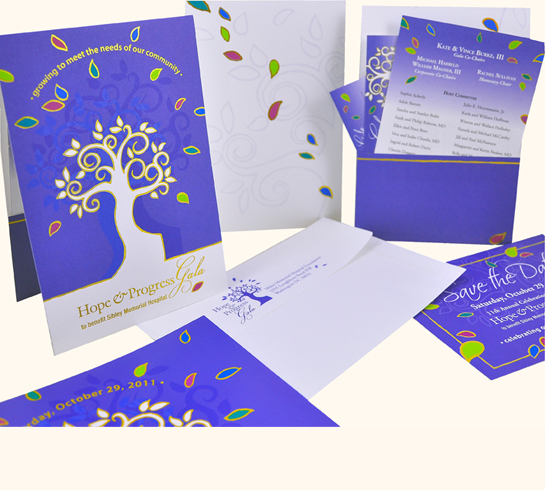 When a printer sends out a promotional greeting it needs to speak to the multitude of capabilities they offer their clients. This greeting filled the bill with die cuts, engineering, and of course lots of color to show off all their printing skills. 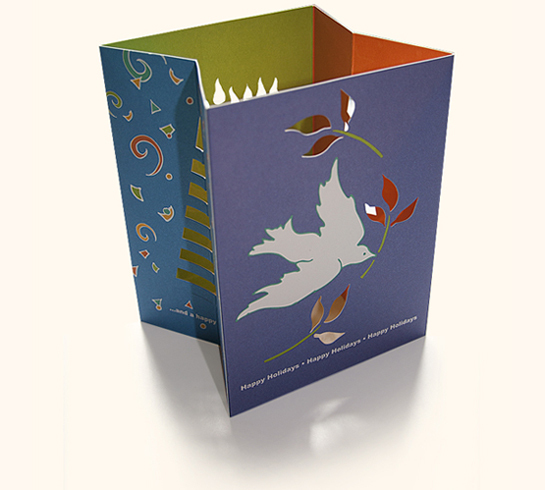 In addition to a dove, the card features a menorah on the opposite side as well as two trees on the folded sides — one surrounded by snowflakes, the other confetti. 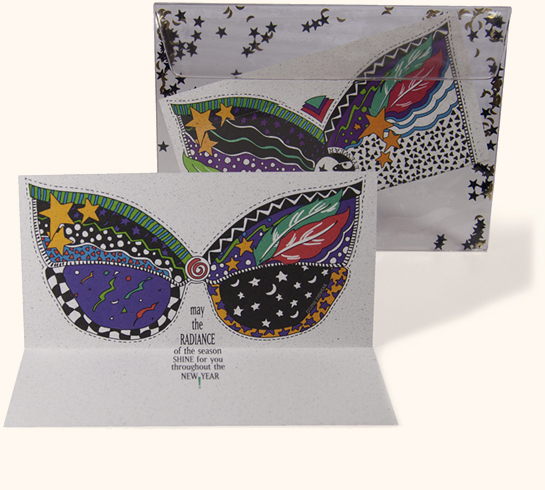 To play up “Eclipse” I created radiant “eyewear” that also tied into a New Year’s Eve theme. Packaged in a clear envelope with moon and star confetti sandwiched between the layers added bling yet prevented a mess when opened.